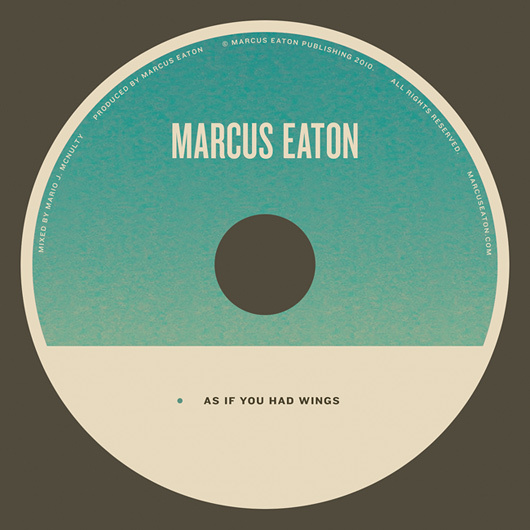 New Project: Marcus Eaton Album Artwork | Shelby White - The blog of artist, visual designer and entrepreneur Shelby White. Looks awesome!! Nice work on the design, a lot of hard work finally going public! Nice. 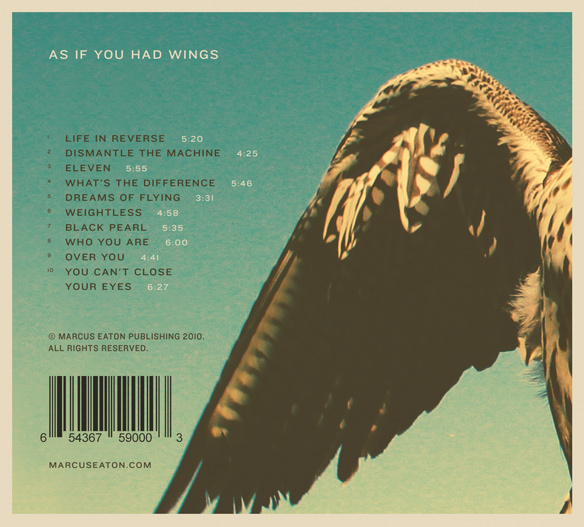 I like the color choices on the album cover and the detail on the bird. I would have to say I am in love with this project, the colors just really draw my attention. 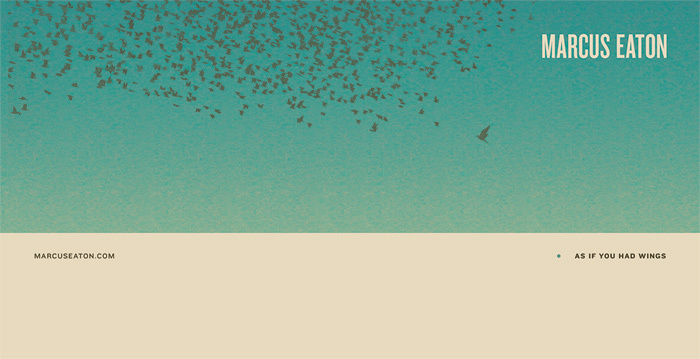 This has a calming-ness and enjoyment about looking at the album artwork. 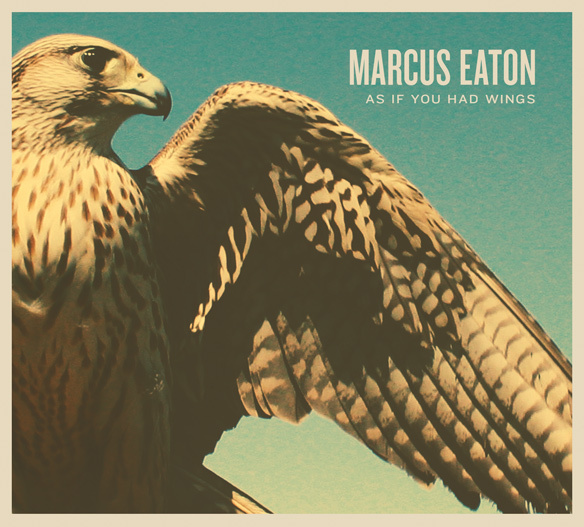 Definitely makes you want to listen to Marcus Eaton or if you haven’t you want to discover what’s behind the wrapping. The final version looks great, I remember exchanging feedback with you on this project, interesting how much experimentation is involved during those initial multiple iterations, and then the intense focus needed to bring it through the finalizing stages once the main concept/layout/treatment has been determined. Sick artwork. I would buy a copy for the packaging alone. Nice artwork Shelby, looking forward to seeing the process! Very clean, I like the set a lot. I really like the texture in the background gradient, that makes such a difference to the overall feel and quality. Great job! I also really like the colors and imagery. You’ve definitely done a nice job of tying it all together. Wow! 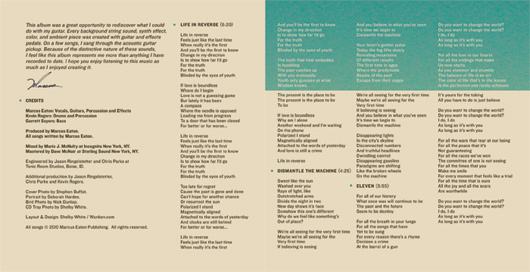 This is really a masterpiece, love the color management, imagery and type. By the way could you pleas tell me what’s the font name? Wow, really nice work, Shelby. Can’t beat those colors! I also love the grainy gradient sky. Just curious, was this printed on matte? It certainly looks like it should be. Kyle, yes this was printed on matte. Swell colors and great mixture of type. Nice work man. Wow this album rocks! I love the simplicity, photography, fonts and the use of clear space. This looks simple but its actually a lot more work to make something look this clean. Great work! i like this a lot shelb…..really good. keep it up. In the event that you get alerts when people make new comments on a post of yours, what exactly did you do with the image of the eagle? And was the source just a stock image? The image was set up and taken by a photographer. I then blew the image up to a larger than needed size and worked on creating the mood we needed by using many adjustment layers. simply excellent and i could think you are an expert in this subject.